Do you want to improve your English, but can’t find the time? Do you need help with English grammar or vocabulary? Do you work with international colleagues who speak English? Are you preparing for English exams? Would you prefer to have a private tutor rather than learn in a large classroom? As the world becomes more globalised, the need for English is increasing. This is true for people wishing to do business internationally, students interested in studying overseas and anyone interested in travelling to foreign countries. English is quickly becoming the world language and a good level of English is essential to succeed in today’s competitive marketplace. Maybe you have been looking for the right English teacher for a while but haven't found one that you feel comfortable with. Maybe you have been thinking about taking classes online but are not sure if this will work for you. That is why we offer a FREE trial lesson with an experienced native English-speaking teacher, so that you can see how you feel and ask any questions. 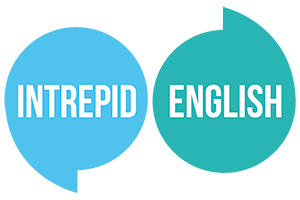 We are sure you will love learning with Intrepid English. Choose from our selection of English courses. If you can't decide, just choose 'Undecided' and your teacher will choose the lesson for you. Choose your teacher and select a date and time slot from the calendar. Either pay for one lesson or buy a lesson bundle to receive a discount. We will send you a contact request on Skype. Please accept this before the lesson is due to start.